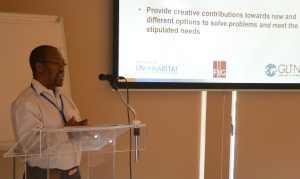 An expert group meeting was organised by FIG and UN-Habitat/GLTN 15-16 September 2016 in Greece. 25 experts in various fields within land valuation, hereunder valuers - both academic and practitioners, government representatives, lawyers, surveyors and other experts from all over the world, worked over the two days on how to develop a usable tool for the valuation of unregistered land based on a discussion report. Land tools provide a resource for enabling action. Consequently what are required are land tools that are affordable and accessible for all sections of the population in countries around the world. The EGM was attended by participants from 17 countries: Australia, Austria, Brazil, Denmark, Fiji, Finland, Ghana, Greece, Kenya, Mongolia, Philippines, Netherlands, Norway, Switzerland, UK, Uganda and USA. The meeting is a culmination of meetings and studies that recognized the need to accommodate ‘the continuum of land rights’ in the valuation process. There is general consensus that about seventy percent of land ownership units in developing countries are not formally registered and the initiatives for land registration are not achieving the desired results. In developed country, also a certain part of the land is not registered. This adversely affects owners of unregistered lands and properties, who in most cases are the disadvantaged groups and they cannot access valuation services. Communities and individuals with unregistered lands and properties are therefore unable to benefit from economic activities and to climb on property ladder. Considering that “Valuation is the heart of all economic activity. Everything we do as individuals or as groups of individuals in business or as members of society is influenced by the concept of value. ….” (Ring & Boykin), economically that leaves them at a marked competitive disadvantage against those with property. The Global Land Tool Network (GLTN) is thus working to develop a tool for valuation of unregistered land and properties that can benefit the vulnerable groups and support operationalization of the continuum of land rights concept. 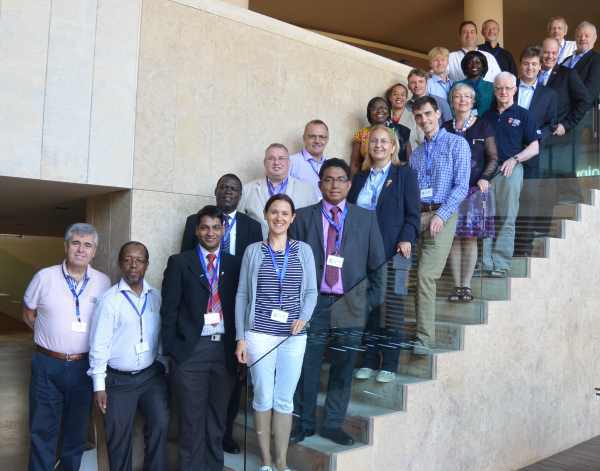 The development of the tool started in 2013 with a scoping study undertaken by RICS, and was followed up with session discussions at FIG Congress 2014, FIG Working Weeks 2015 and 2016. 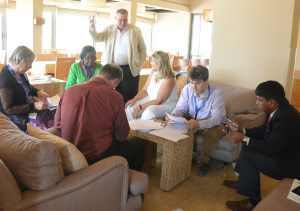 The report that was presented and discussed at the expert group meeting will eventually result in an operational guide. At the meeting three working groups were formed: 1. Barriers & Issues, 2. Compensation versus Market Value and 3. Capacity and Implementation. Barriers in practice are numerous from lack of market information to the lack of valuers. Informal land valuation is complex but not impossible and purpose is key. Large scale acquisition of informal land in developing countries was agreed as a strong focus for the document. On compensation version market value the outcome was primarily focussed on underlining the difference between compensation and market value. The two subjects should be separated in the document and it is important to distinguish between the two terms. FIG Publication 54, Compulsory Purchase and Compensation - Recommendations for Good Practice elaborates on the compensation issue. Capacity and development of regulated professional and technical valuation practitioners was highlighted as a major issue. Valuation sharing and practice should follow ‘fit for purpose’ criteria with thoughts on the development of a technical “Para-valuer”. Adherence to international standards is key to reducing risk and increasing confidence of communities and should be ingrained within the technical training to help implementation of the initiative. In connection with the Expert Group Meeting FIG had also organised a meeting for the Task Force on Property market on 17 September. They met for one day to discuss the development of the Task Force and to make the final preparations for the FIG/World Bank Workshop on Valuation in Athens. Next years meeting will take place in Istanbul. 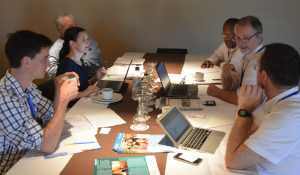 On 14 September FIG Council met for a 1½ day council meeting, and finally on 18 September there was an open meeting organised by FIG Task Force for Commission Structure. Read report from this meeting.